London, United Kingdom: Allied Wallet LTD, a globally leading provider of online payment processing offering various payment solutions in 196 countries all over the world, is expanding their payment services offering as an Acquiring Processing service provider with a new MasterCard certification. Allied Wallet is now certified by both MasterCard and Visa, enabling them to offer an even larger range of services from authorisation processing, transaction processing, fraud management, clearing and settlement, merchant management, and dispute management. As e-commerce continues to grow, varying business models are emerging and merchants are looking for new, innovative payment services and often times unique, customized payment solutions for their companies. Depending on the industry and the products or services they offer, merchants may encounter some fluctuation in transaction volume, sudden growth or require varying recurring billing requests. 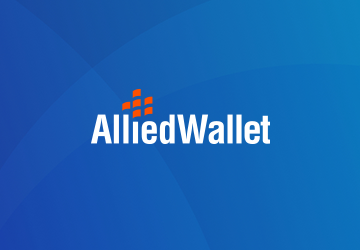 Allied Wallet has always prided itself on working with their merchants to provide them with the best customized solution. Allied Wallet is celebrating their certification by offering new low rates starting as low as 1% for qualified merchants.